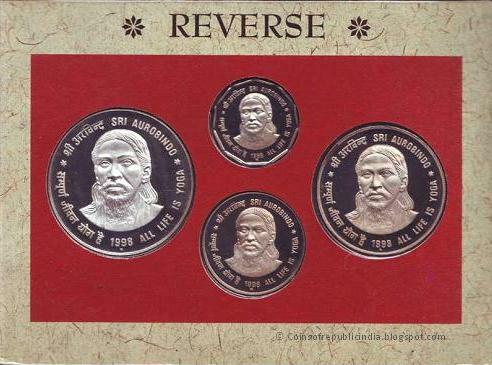 To commemorate the 125th Birth Centenary of Sri Aurobindo a Proof set and UNC Set was released in the year 1998. 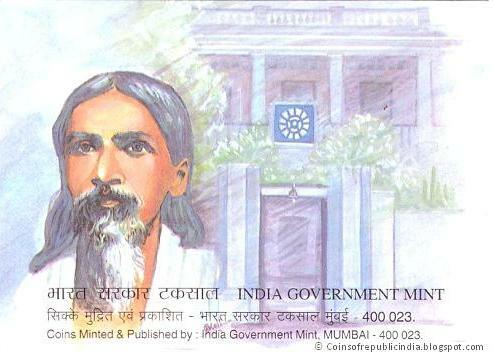 Sri Aurobindo Ghose; (15 August 1872 – 5 December 1950) was an Indian nationalist, freedom fighter, philosopher, yogi, guru, and poet. He joined the Indian movement for freedom and for duration became one of its most important leaders, before developing his own vision of human progress and spiritual evolution. 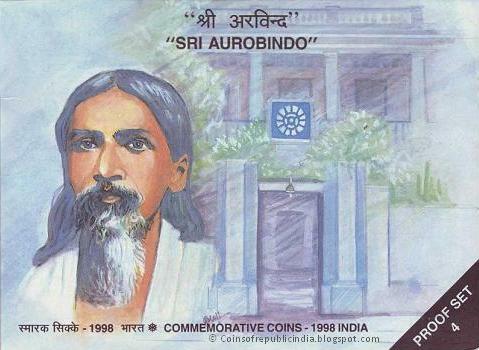 The central theme of Sri Aurobindo's vision is the evolution of human life into life divine. Writes he:"Man is a transitional being. He is not final. The step from man to superman is the next approaching achievement in the earth evolution. 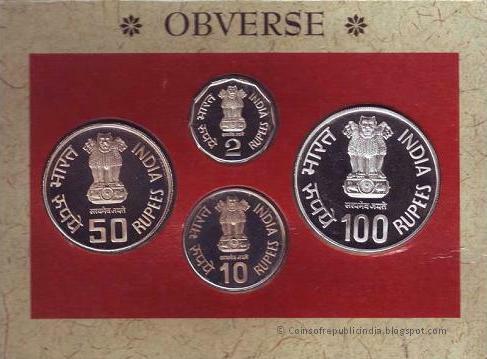 It is inevitable because it is at once the intention of the inner spirit and the logic of nature's process."